A new patent for Facebook's AR glasses is doing the rounds on the internet. Why get excited, though? you might ask, since Oculus' chief scientist has warned that this kind of device won't go mainstream until 2022, not later this year. Well, what with Apple's AR glasses almost certainly in development and Snap's AR glasses probably not too far behind, a concrete Oculus VR patent from October 2016 for a waveguide display designed to "augment views of a physical, real-world environment with computer-generated elements" is pretty damn interesting for the future of computing. The patent was filed by three Oculus engineers including ex-HoloLens researcher Pasi Saarikko. It details the technology for a waveguide display with a 2D scanner mirror that's similar to what we've seen in development at smaller AR companies like WaveOptics, which just raised $16m in investment. 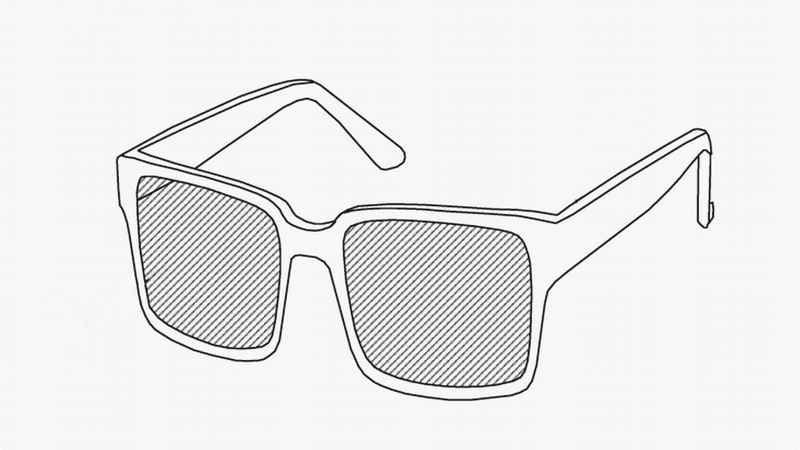 One of the patent images shows a form factor that looks like a pair of traditional frames - similar to the concept Mark Zuckerberg showed off on stage last year - annotated with a "near-eye display". Light from lasers will hit the devices' lenses and then CG images and video will be projected into the user's eyes. As for audio, the glasses will be able to connect to headphones and speakers. Facebook isn't shying away from talking about an AR future with short term efforts like its Camera Effects Platform. Now some of its AR cards are on the table, it remains to be seen how soon Silicon Valley can launch a desirable, useful pair of AR glasses - and whether we're ready for them.